Lawsuits, integrity commissioner investigations, ombudsman reports, and more. Month by month, the history of complaints lodged against the Mayor. Click on the image above for a full-size, detailed version. Mayor Rob Ford has found himself in so many scrapes that it’s becoming difficult to keep them all straight. Here’s a history of formal complaints that have been lodged against Ford since he first became a mayoral candidate in 2010. We update it periodically—new complaints have so far been filed every few months. Over the course of his mayoralty, Rob Ford has faced four mayor types of formal complaints, all of which are represented here. There are lawsuits, which are legal proceedings brought under provincial and federal law and argued in court. There was a compliance audit, which is a financial probe brought about under the aegis of the City. There are integrity investigations, which are probes into alleged violations of city council’s code of conduct and carried out by the City’s integrity commissioner, Janet Leiper. There are reports from the City’s ombudsman, Fiona Crean, whose job is to investigate instances of administrative unfairness. An important caveat: when complaints are investigated by Toronto’s integrity commissioner and there is no finding of wrongdoing, the related report isn’t typically made public. This list isn’t, therefore, entirely comprehensive; there may well be other complaints which were never made public. The cases we do know about are full of minutiae; to keep things manageable we’ve only included the highlights. 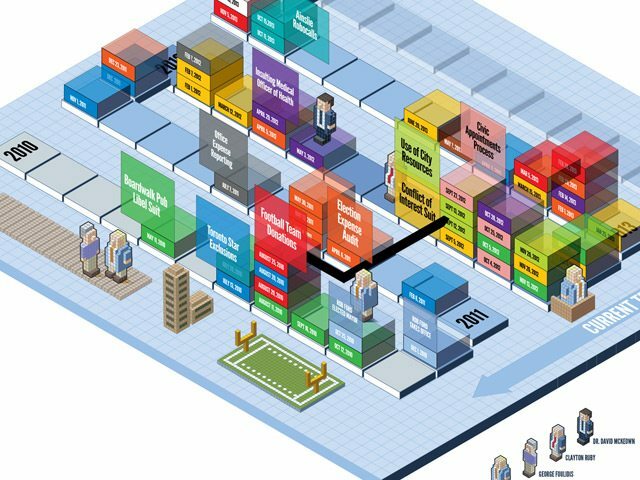 If you notice anything missing, or any errors in what’s here, let us know. May 11, 2010: Council approves a 21-year lease extension for Tuggs Incorporated, the company that has operated the Boardwalk Pub in Woodbine Beach Park under contract to the City since 1986. The extension is controversial because it hasn’t been put out to competitive bids, contrary to advice from City staff. July 29, 2010: During an on-air interview, Newstalk 1010 host Jerry Agar asks then-mayoral-candidate Rob Ford if he thinks someone involved in the Tuggs deal is “getting money under the table,” implying that bribery played a role in council’s decision to sole-source the contract. “I truly believe they are,” says Ford. He can’t articulate his reasons for thinking so, he says, because part of council’s debate was confidential. This is typical of contractual issues, which include sensitive financial details that cannot be made public until agreements are signed. August 11, 2010: Ford is quoted in the Toronto Sun as saying that confidential debates—like the one at which council decided to award Tuggs its new contract—are characterized by “corruption and skullduggery” and that the Tuggs deal “stinks to high heaven.” The article strongly implies that Ford believes the deal “smacks of civic corruption,” though it doesn’t quote him saying that. It also implies that Tuggs owner George Foulidis’ campaign donations to then-Councillor Sandra Bussin (Ward 32, Beaches-East York) helped him land the lease extension. September 16, 2010: Fed up with Ford’s insinuations, Foulidis informs the media that he intends to sue the candidate for libel, unless Ford apologizes. October 12, 2010: Ford is formally served. The statement of claim says Foulidis is seeking $6 million in damages and costs. November 13, 2012: The case goes to trial. The exact meaning of Ford’s words during his interview with the Sun becomes a key issue. Under questioning by Brian Shiller, the prosecuting attorney, Ford tries to defend his “corruption and skullduggery” comment. Eventually, he all but admits that he was referring to Tuggs when he said those words. December 27, 2012: Ontario Superior Court Justice John Macdonald dismisses the suit against Ford, reasoning that Ford’s statements fell short of libel. The judge also took issue with the fact that Foulidis was unable to prove, definitively, that he was actually the chief officer of Tuggs (his name wasn’t on the official company profile). July 13, 2010: The Toronto Star publishes an article alleging that then-Councillor Rob Ford had been asked to stop coaching a high school football team in 2001, following a confrontation (a physical one, according to some but not all of the Star’s sources) with a student player. Ford publicly disputes its truthfulness. Through his lawyers, he files a notice of intent to sue the Star for libel, but later allows the suit to lapse before anything can come of it. August 20, 2010: Ford’s then-press secretary, Adrienne Batra, confirms to the Toronto Sun that Ford’s campaign will no longer be talking to the Star, as a result of the article. Once Ford becomes mayor, he continues this policy, and his office doesn’t send press releases to Toronto Star reporters. February 8, 2011: The City Hall press gallery collectively sends a letter to Mayor Ford’s office, stating that they oppose “any attempts by politicians or staff to boycott, spurn or sideline any media outlet or journalist by restricting the flow of official information.” The Star isn’t mentioned by name, but the implication is clear. November 1, 2011: Ford’s executive committee votes down a motion by Councillor Adam Vaughan (Ward 20, Trinity-Spadina) that would have prohibited City officials from excluding particular journalists or news outlets from media events and press releases. April 3, 2013: City council considers the integrity commissioner’s report on the Star‘s complaint. The report concludes that Ford didn’t breach council’s code of conduct by keeping the newspaper at arm’s length. 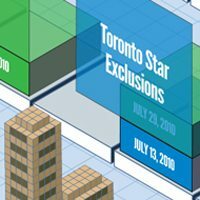 The report also says it’s unclear whether the City’s rules permit corporations like the Star to bring integrity complaints against Toronto’s municipal politicians. August 20, 2010: The integrity commissioner releases a report in response to a complaint about then-councillor Ford’s methods of raising money for his private charity, the Rob Ford Football Foundation. The commissioner finds that by using his office letterhead to solicit donations for the foundation, Ford had violated City rules that prevent politicians from using office resources and political influence for personal ends. Also in violation of the code of conduct, he had accepted donations from lobbyists, their clients, and a corporation that does business with the City. August 25, 2010: City council approves the integrity commissioner’s recommended sanction: that Ford be required to pay back the improper corporate and lobbyist donations, at a cost of $3,150. 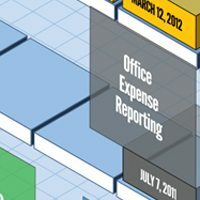 July 7, 2011: Jude MacDonald, a freelance writer and former editor-in-chief of Rabble.ca, files a complaint with the integrity commissioner about the suspiciously low totals on Rob Ford’s office-expense disclosure reports. 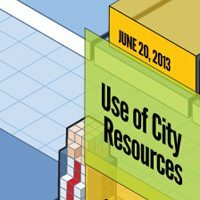 The mayor, like all members of council, is required to report all office spending (including out-of-pocket spending). Ford’s office expenses in the first quarter of 2011, according to his disclosure records, were just $1,718.46. February 9, 2012: The integrity commissioner determined that Ford didn’t actually breach the council’s code of conduct in this case. April 6, 2011: The Globe and Mail points out an interesting feature of Ford’s mayor campaign financial disclosure filing: they appear to show that the campaign effectively borrowed $69,722.31 from Doug Ford Holdings, a corporation whose directors include Rob Ford and his brother, Doug. Accepting that loan may have violated campaign finance laws by counting as a corporate donation. May 4, 2011: Adam Chaleff-Freudenthaler (an activist) and Max Reed (a lawyer) file for a compliance audit of Ford’s campaign finances. Their brief in support of the audit takes inspiration from Lorinc’s work, but also builds on it in many significant ways. They point out that the campaign may have exceeded its legal spending limits, and that it may have illegally borrowed $77,722 from Doug Ford Holdings, among other alleged violations of the Municipal Elections Act. 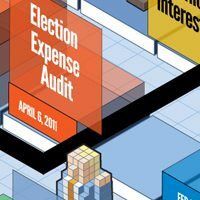 May 13, 2011: The City’s Compliance Audit Committee unanimously agrees with Chaleff-Freudenthaler and Reed that Ford’s election expenses should be audited. May 30, 2011: Ford’s lawyers file an appeal with the Ontario Court of Justice seeking a reversal of the committee’s decision to push ahead with the audit. The following day, Chaleff-Freudenthaler and Reed announce that they have found some lawyers of their own: two partners from the firm of Paliare Roland, who have agreed to work pro bono. December 23, 2011: Ford’s lawyers file a motion with the court seeking to have the committee’s authorization of the audit thrown out, so Ford can introduce new evidence. February 1, 2013: Froese Forensic Partners releases a report that details a number of apparent financial violations committed by Ford’s campaign. Among other things, the auditors say Ford appears to have spent $40,168 more than his legally mandated campaign spending limit (which was about $1.3 million). February 25, 2013: The City’s compliance audit committee decides not to call in a special prosecutor to press charges against Ford, effectively letting him off the hook. May 3, 2012: Councillor John Filion (Ward 23, Willowdale), chair of the Toronto Board of Health, tells reporters he will file a complaint with the integrity commissioner if both Fords don’t apologize for their comments. They do not. October 28, 2012: The integrity commissioner’s reports on the incident are release, in advance of the upcoming city council meeting. 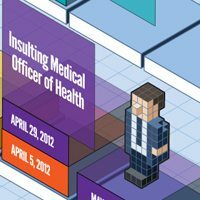 She finds that Rob Ford did, in fact, violate council’s code of conduct by “demeaning the professional reputation” of the medical officer of health, and that Doug Ford has also violated the code of conduct. She recommends that council issue a formal reprimand. The next day, while being interviewed on AM640, Doug Ford apologizes; the integrity commissioner says this is a satisfactory resolution. Rob, meanwhile, offers no acceptable apology. February 14, 2013 After numerous procedural delays (council deferred debate on the issue) the integrity commissioner issues a new report saying that Rob Ford had apologized to McKeown a few days prior, and the matter is now closed. 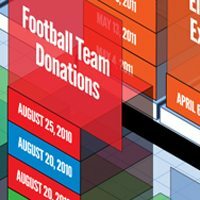 February 1, 2012: The integrity commissioner releases a follow-up to her earlier report on improper donations to the Rob Ford Football Foundation. To date, she writes, Ford has not paid back any of the money donated by lobbyists and corporations. February 7, 2012: Council votes on the matter again. This time, they decide to reverse their earlier decision. Ford is officially absolved of all financial responsibility for his breach of conduct. Ford initially recuses himself from the debate, but subsequently reverses course, speaking and voting on the item. March 12, 2012: Seizing on Ford’s apparent conflict of interest—by voting, he gave the appearance of using his political power to sway a matter in which he had a financial interest, which is prohibited—Toronto resident Paul Magder brings a lawsuit against the mayor, accusing him of violating the Municipal Conflict of Interest Act. At a press conference, Magder is overshadowed by his lawyer, Clayton Ruby, who is well known for his involvement in constitutional and civil liberties cases. The pair say they are seeking to remove Ford from office. September 5, 2012: Ford takes the witness stand and is cross examined by Ruby. The mayor repeatedly claims not to be familiar with the basics of conflict-of-interest law. 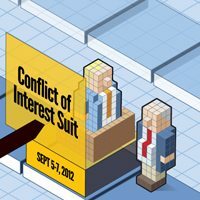 Instead, he espouses a strange, incorrect view of what actually constitutes a conflict of interest. His belief, he says, is that a conflict can only exist when both a councillor and the City stand to benefit from a transaction. November 26, 2012: Justice Charles Hackland releases his verdict, which condemns Ford for his “willful blindness” and orders him removed from office. The decision is stayed for 14 days. December 5, 2012: Divisonal Court Justice Gladys Pardu extends Ford’s stay, allowing him remain mayor until he has finished appealing Hackland’s verdict. January 25, 2013: The Divisional Court releases its decision, overturning Hackland and restoring Ford to the mayoralty permanently. Many legal experts had predicted that Ford would lose his appeal, so this outcome is considered surprising. March 15, 2013: Clayton Ruby’s office files for leave to appeal to the Supreme Court of Canada. The Supreme Court accepts only a small minority of cases, so this is considered a long shot. June 20, 2013: The Supreme Court denies Ruby leave to appeal, ending the matter for good. September 12, 2012: The Globe outlines how some of Ford’s junior staff members appear to help the mayor with his volunteer duties as a high-school football coach. Because the staff members are on the City payroll, this raises suspicions that Ford has, yet again, violated City rules against misuse of resources. September 13, 2013: Jude MacDonald, the former Rabble.ca editor who complained about Ford’s office spending disclosure in 2011, registers a second complaint with the integrity commissioner. This time, she wants an investigation into Ford’s use of his staff for non-City business. September 27, 2012: Toronto ombudsman Fiona Crean details how, in 2011, the mayor’s office interfered in the process of appointing citizen members to the boards of City agencies. The report says the mayor’s staff first delayed the appointments process, then demanded that it be accelerated. Also in the report is evidence that the mayor’s staff tried to get preferred candidates onto certain boards, including the Police Services Board and the Toronto Public Library Board. Crean concluded that Ford’s meddling “compromised” the appointments process by putting City staff under such strict time constraints that they couldn’t follow the City’s own appointments policy. October 4, 2012: City council considers Crean’s report. Some councillors grill her about weak points in her investigation, notably the absence of written evidence that the mayor’s office had favourite candidates for certain board spots. 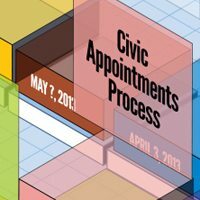 Ultimately, council decides to take the ombudsman’s advice and direct City staff to change the way Toronto administers its civic-appointments process. The hope is that this will prevent similar problems in the future. October 25, 2012: Crean publishes a follow-up report, including a new piece of evidence that came the City Manager’s office: the mayor’s office’s written list of preferred candidates for certain board spots. Crean stands by the conclusions in her previous report. February 28, 2013: The Toronto Star reports that, despite nearly losing his office in court, Rob Ford has once again sent fundraising letters to registered lobbyists, asking them to donate to his football foundation. (One lobbyist received a letter just three days after the appeal decision ensured Ford would retain the mayoralty.) Ford says the mailing was “inadvertent” and promises that he’ll return any donations that result from it. March 5, 2013: Toronto resident Frank Trotz files a complaint with the integrity commissioner over the fundraising letters. November 5, 2013: The integrity commissioner releases her report on the matter [PDF]. She finds that Rob Ford did improperly solicit the donations, both because City resources were used in the preparation of the mailing and because some lobbyists were recipients. However, in the course of her investigation the commissioner met with the mayor, who took concrete steps to ensure that these breaches would not happen again. Further, the mailing in question was the last to fall afoul of the rules. For these reasons, the commissioner recommends that no penalties be imposed. October 11, 2013: Paul Ainslie (Ward 43, Scarborough East), having broken with Rob Ford and voted against the Scarborough subway, also quits city council’s cabinet-like executive committee. That night Rob Ford commissions a series of robocalls, attacking the councillor. Two days later, on his weekly radio show, Ford has more harsh words for his colleague. 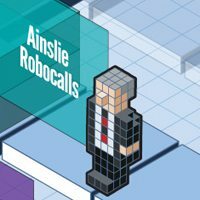 January 6, 2014: Ainslie tells reporters that the integrity commissioner has asked Rob Ford for information pertaining to the incident several times, and has received no reply. If she continues to be met with silence her investigation will proceed without him. November 13, 2013: At a special meeting convened to respond to Rob Ford’s admission that he had smoked crack, driven drunk, and lied to the pubic for months, city councillors vote to ask the integrity commissioner to launch an investigation into the mayor’s conduct, and to report back to them as soon as possible on whether he has violated council’s code of conduct. December 5, 2013: The integrity commissioner publishes a report summarizing her initial exploration of the issues [PDF]. She finds that due to a number of procedural issues with the way the motion was framed, and because Ford had responded as requested to some elements of council’s motion (such as apologizing during the meeting for his behaviour) there is no further action available for her to take. 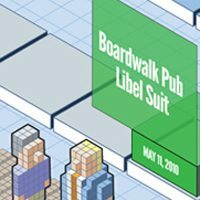 CORRECTIONS: We originally misspelled Paul Magder’s surname, misidentified the park in which the Boardwalk Pub is located, and misstated the length of the lease (21 years less a day, not 20 years). We also originally wrote that Mayor Rob Ford was quoted in a Toronto Sun article saying that a deal between the City and Tuggs, Inc. was characterized by “corruption and skullduggery.” This did not actually become apparent until later—at the time it was unclear whether he was referring to that deal in particular or confidential council debates in general.